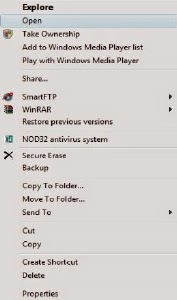 If you find Windows Search missing from the Start Menu, then this post may interest you. 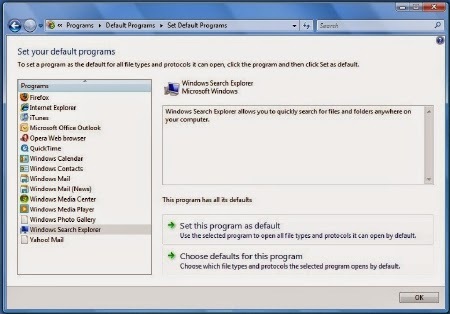 Windows Vista’s SP1 changes the Search feature to allow users to choose a default desktop search program by using Set Default Programs from Control Panel. You may have also noticed small changes to the UI, relating to Search, in the Start Menu. The Search Button has been removed from the right side of the Start Menu. A button labeled Search Everywhere has replaced See All Results now. The contextual search has also been removed. 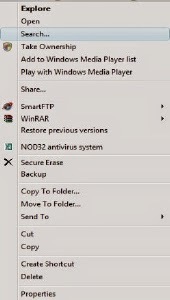 In Windows Explorer, users will also see a Search Everywhere option in the toolbar now. Luckily, if you aren’t happy with the change you can get back the “Search” item and add it to the context menu with a simple registry tweak. The nice thing about the folder context menu is that the search window will be already set to search only that folder. Rename the REG_SZ: ‘LegacyDisable’ value to something else like, say, ‘LegacyDisablex’ or delete it. You will get the context menu search back. 4. In cmd.exe type start search-ms: and hit enter.